Anti Car Scratch Kit is a Nano-Ceramic Protective Paint Coating, Scratch Resistance, Chemical Resistance, UV Resistance, Thermal Resistance and Anti-Graffiti with both the Super Hydrophobic and Anti-Graffiti effect combined, your vehicle's surface will stay cleaner for longer. Dirt and grime will not stick to the surface and since the hydrophobic effect causes water to bead up and roll off the surface, it will take the dirt with it! The hard ceramic film also offers superior protection from damaging contamination and harsh chemicals. [SCRATCH RESISTANCE]: Anti scratch 9H hardness, with the hardness of super hydrofobowa glass coating. Its unique technology helps achieve a thick coating, the sacrificial coated on the surface can be used as a coat of the barrier. 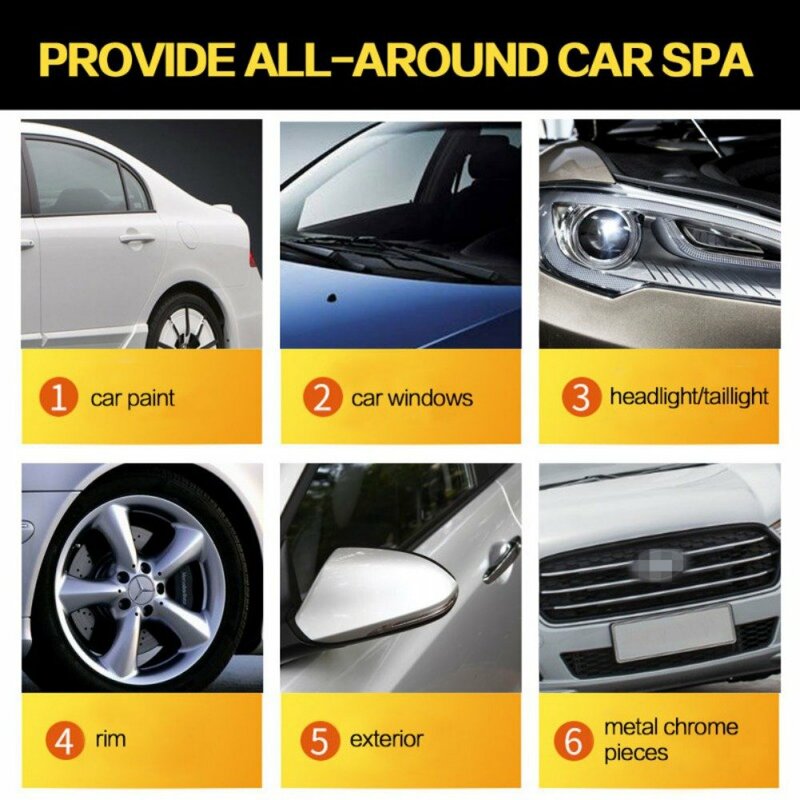 [CAR SURFACE PROTECTOR]: After painting with this product, a protective layer will be covered on car body.It could protect your car body against acid rain,salt fog corrosion, rust, oil stains, sap, bird dropping permeation, bugs,some scratches, bird droppings, corrosive traffic film, tar and harmful UV rays and more. [EASY TO USE]: Wrap the cloth over coating sponge; Put coat liquid on the cloth; Spread the liquid on the car; Use towel to wipe and polish sponge over the coated fabric. It makes a good paint job on cars,Just follow directions gives a great shine. Came in yesterday I applied it this morning, it leaves a glass like finish all of the usual minor surface scratches are gone awesome product! This product works great for the price. I applied it 6 months ago and its still holding strong and I wash my car at least once a week.